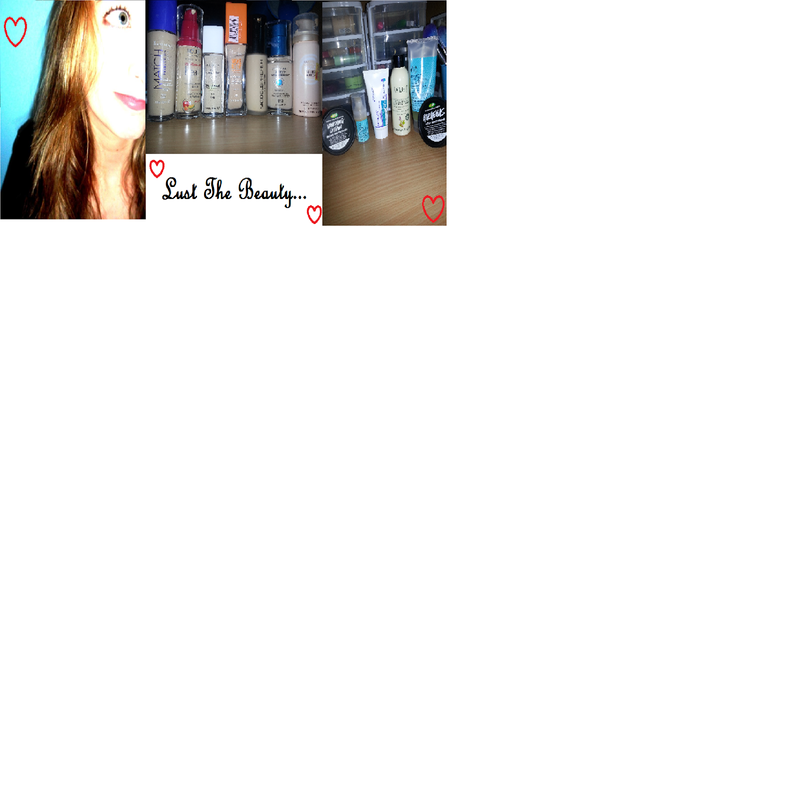 Lust The Beauty: Hello Haul! 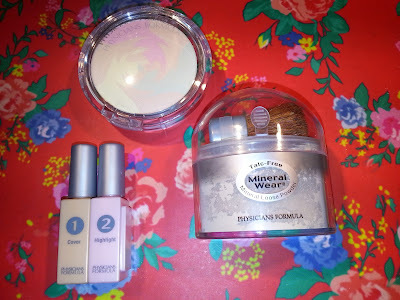 I've been a bit naughty with my credit card and pay checks recently (oopsies!) and have made a few extravagant (compared to my usual drugstore and overall tight budgeted way) purchases. Mmmhmmm did I get a few brushes? I did? Well golly. I did invest in a new Real Techniques brush (powder brush) that I'd been eyeing off for AGES, and I also found an Eco Tools buffing brush on sale in Safeway and decided to pick that up too :) Great brushes. The Real Techniques brush is massive compared to the current Eco Tools powder brush I have, but it does a great job. 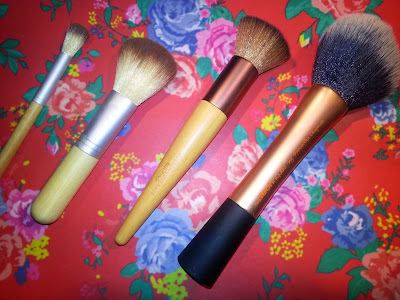 The other two brushes (on the left) are two - I think, but could be fake (they're from eBay) - Eco Tools brushes. A small powder/contour brush and a smaller brush that I've been using for eyeshadow. 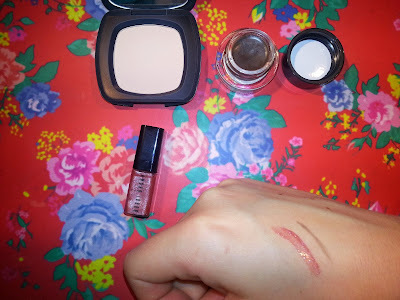 I saw on Facebook one evening that there was a new store open in Southland called Mecca Maxima, and they had Nars, Bobbi Brown, Stila and all these amazing brands that I'd never known to be in Victoria before. So...because they had a special deal on, and the Makeup junkie that I am, I had to go look. The deal was that if you spend $65 or more you got a free little gift. So me being me, I spend over $65, but it was so hard to choose! I ended up buying a Bobbi Brown long-wear gel eyeliner in Sepia Ink, a Soap & Glory Clean, Girls body wash (that somehow didn't get in the photos - how could I forget it?! It smells amazing! ), and a mini bareMinerals Touch Up Veil in translucent. 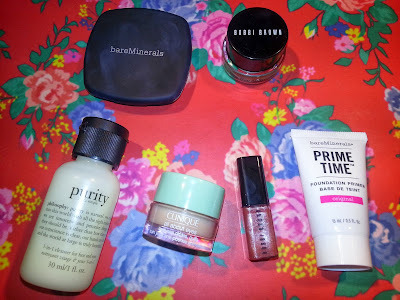 In the free gift was a sample of a Bobbi Brown lip gloss in Rose Sugar, the Clinique All About Eyes (reduces puffiness and circles), bareMinerals Prime Time original primer, and the Philosophy purity 3-in-1 cleanser. So many things! The cleanser is so lovely, but doesn't smell the greatest, in my opinion. 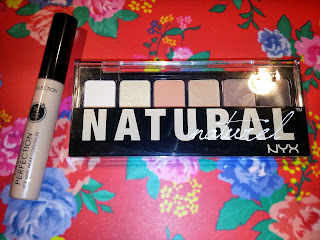 The Clinique eye stuff...I don't know whether it makes a difference or not, but I'll keep trying it. 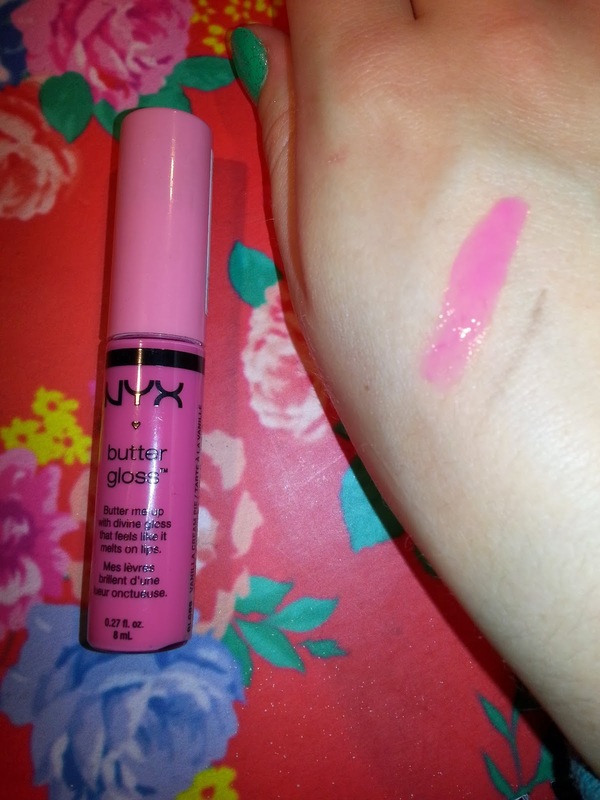 The primer is grreaat and the lip gloss is lovely, but slightly tacky. I can smell Lush from a mile away. And I am not sorry. In my few trips into there I picked up a few things. 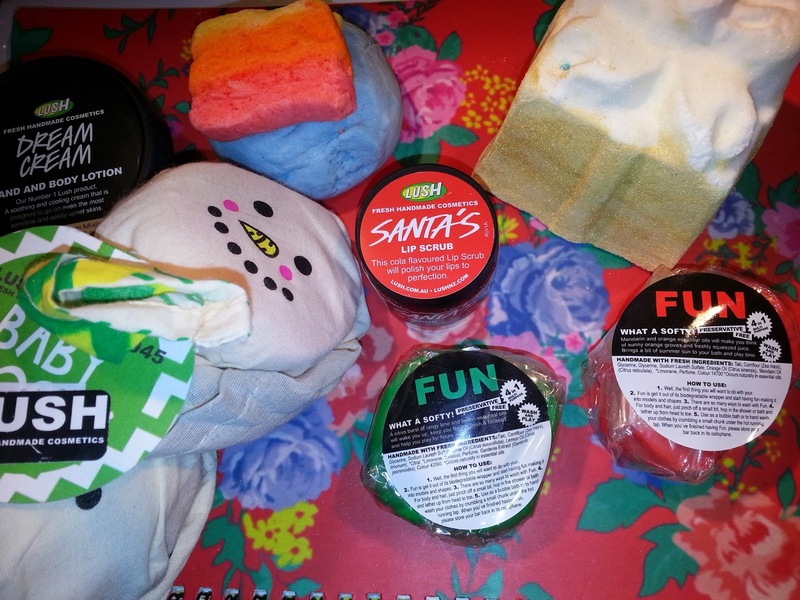 First is the Dorothy Bubble Bar; oh my god guys, it smells so summery. Like sunscreen and fresh water and...you know that fresh scent of just getting out from under a cool shower? I could not pass up the Baby Frosty pack. I mean, look at that guy. He's the cutest thing ever! 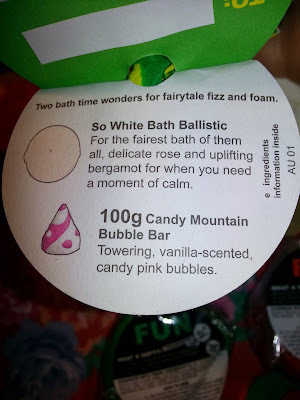 Inside the cloth bundle you get a So White bath ballistic and a Candy Mountain bubble bar. I've never tried any of the things in this Lush part of the haul, so this is very exciting for me! I was going to get the Bubblegum lip scrub, but then saw the Santa's one and seeing as it is only for around Christmas time, thought I'd get that. It's supposed to be Cola flavoured...but to me it just tastes a bit like soap.. They had a small Fun pack that I bought for $7.50 which I thought was a good price. (The gold one is missing - I used it last night, it smelt sooo good). It came with a green one, a red one and a gold one, all sample size I think. I look forward to using those! I've been a bit meh towards the Body Shop, but since getting the Seaweed face mask as a present, I've gotten back into their stuff. I love this hand cream. 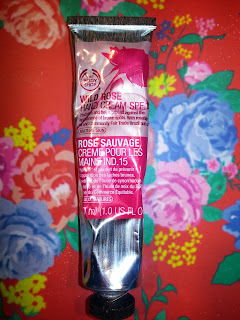 It's the Wild Rose hand cream with SPF 15+...for 'mature skin'. But I use it, and it feels so good. It's a little bit watery once you start rubbing it in, but it sinks in super fast and leaves my hands soft, but not too moist and sweaty feeling. And for about $10, I'm not complaining! Target stock NYX now! WHAT!? WHEN DID THIS HAPPEN?!? Either way, I got excited, and bought this butter gloss in Vanilla Cream Pie. So so lovely. I can see the hype with these things. $9.95, and totally worth it! Online shopping will be the death of me. I actually already have a Collection lasting perfection concealer, but the buyer's listing was going to end soon, and I freaked out. haha...oh dear. The other one was carefully chosen - just for something different. 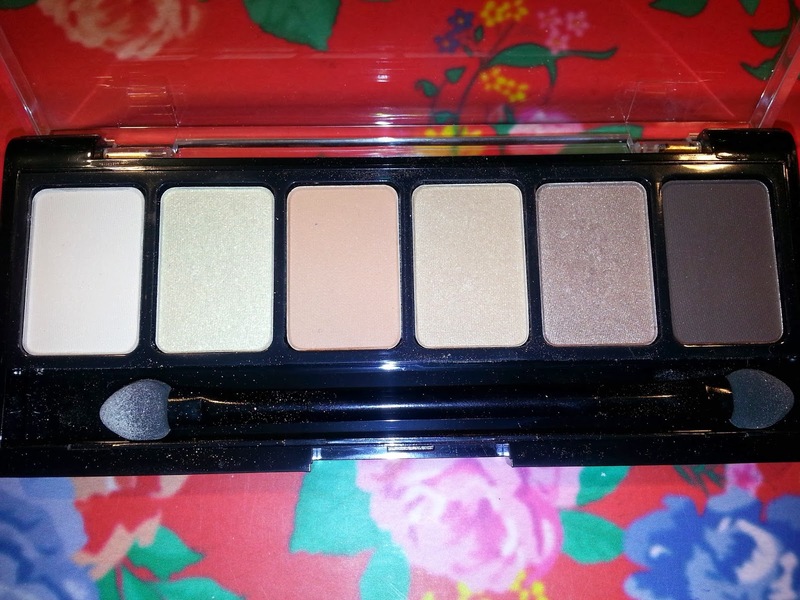 A NYX The Natural Shadow Palette six eyeshadow thing. It has lovely neutral colours, perfect for every day. A little bit of fallout with these but the pigmentation is great for the price! Benefiittt!!!! Ahhhh! I finally indulged! After using a free brow make-upper voucher from my Lust Have It! box, the lovely lady that served me showed me the very last tin of a pack that included the Porefessional, the They're Real mascara, High Beam and Sugar bomb. All full sized, for $69. 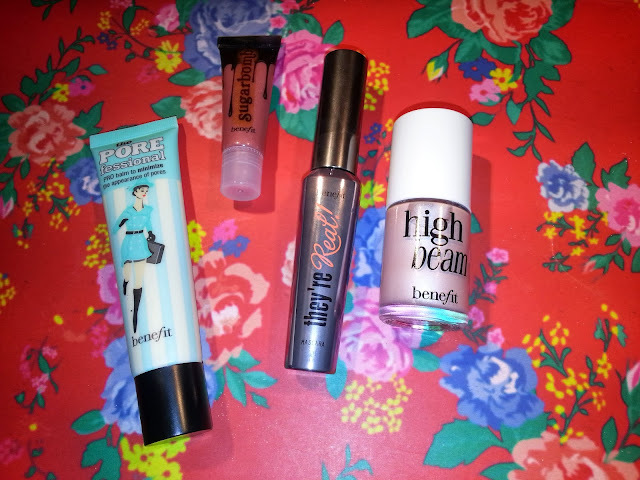 I wanted the Porefessional, which is $53 on it's own...why not pay an extra $16 and get three other things, right? OH MY GOD. I was so excited! My boyfriend didn't seem all that interested in the girl talk and makeup, but I sure was! So that is the end of my haul! I know, I did warn you it was a big'n! I didn't buy all these in one day, these have been over a few shopping trips! Stay tuned for next weeks post, babes!